The administrative reforms to our broken immigration system announced by President Obama are a hard-won victory for the hundreds of community organizations, thousands of activists, and millions of people who have pressed for change through marches, phones calls, protests, civil disobedience and electoral engagement for more than fifteen years. There is a “call and response” relationship between movements and elected leaders. The president has heard the call, and made history. The victory is partial, and the long fight for true integration and full citizenship is far from over, but the movement has created a clear, paradigm-shifting turning point. The reach of the president’s decision is potentially transformational for undocumented immigrants living in and contributing to American communities. 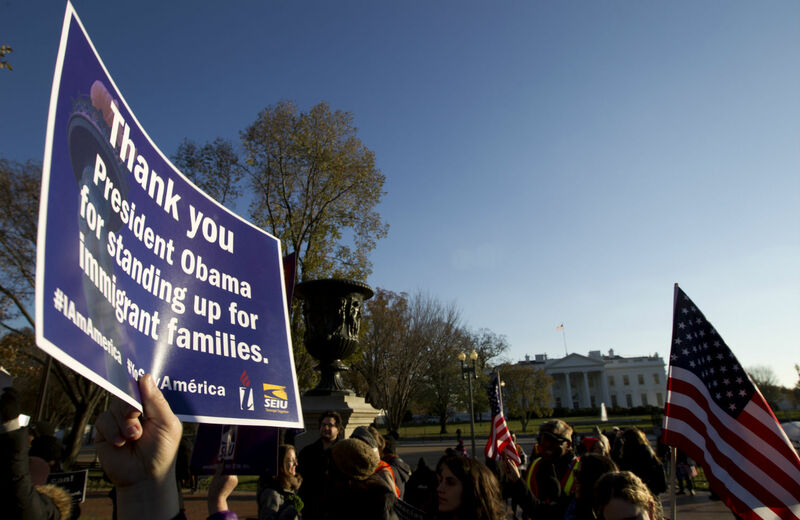 The immigrant-rights movement has won affirmative protection from deportation for nearly half the undocumented immigrants in the United States. These immigrants will now be recognized and be invited to stay and apply for work permits for three years—permits that are renewable indefinitely unless another administration dismantles the program, which is hard to imagine. This relief comes largely in the form of deferred action, a form of executive authority that the president previously exercised on behalf of the DREAMers—immigrants who arrived here as children. The immigrants who are not eligible for administrative relief could have their fears of being torn from their families allayed by the president’s enforcement reforms. These changes have received less attention but are crucial, because they could finally rein in overzealous agencies that have routinely ignored stated enforcement priorities, with disastrous results for families and for human rights. Enacting these reforms will require rigorous monitoring and accountability; priorities have been shifted before, with great fanfare but without actual changes to the manner in which Immigration and Customs Enforcement (ICE) acts on the ground. There are many causes for heartbreak when we consider those who are not included in the administration’s new deferred-action program—many parents of DREAMers, farmworkers and other low-wage workers without qualifying family ties, for example. Let’s be crystal clear: the struggle is not over until everyone has freedom from fear of detention or deportation and has a path to full citizenship, which will ultimately require legislation. This executive action is unquestionably a huge step along that path. This victory belongs to the immigrant-rights movement, and especially to those undocumented immigrants and their family members who took huge risks to step forward, tell their stories and lead. Among those who rose to say, “I am undocumented and I am unafraid,” young people—the DREAMers—helped open the hearts and minds of middle America and awakened the conscience of a nation. I remember one of the first “mock graduations” of DREAMers dressed in caps and gowns on the steps of the Capitol in 2004. My sense of possibility expanded as I saw them hurl their caps in the air with joy because, even though they couldn’t yet go to college, they realized they could help make history. The Keeping Families Together campaign of 2013 and 2014 focused on people like Gina Sanchez and Juan Carlos Vera, each the parent of US-born children, who told their stories at a people’s hearing on Capitol Hill. Thousands of family members and other immigrant workers told similar stories on bus tours, at rallies and marches, in congressional offices (invited or not) and in the media. The challenge ahead is not just to repel the inevitable backlash from the president’s newly emboldened adversaries in the Republican Party. The movement also faces challenges created by the president’s action. How do we help almost 5 million people navigate a complex application process so they can actually realize the promise of freedom from fear? For those immigrants who don’t benefit from the reforms, how do we hold the Department of Homeland Security accountable to its own stated priorities, so that good people don’t continue to be crushed by massive bureaucratic resistance at ICE?